Wolfman Panel petroglyphs in Bears Ears National Monument, Utah. 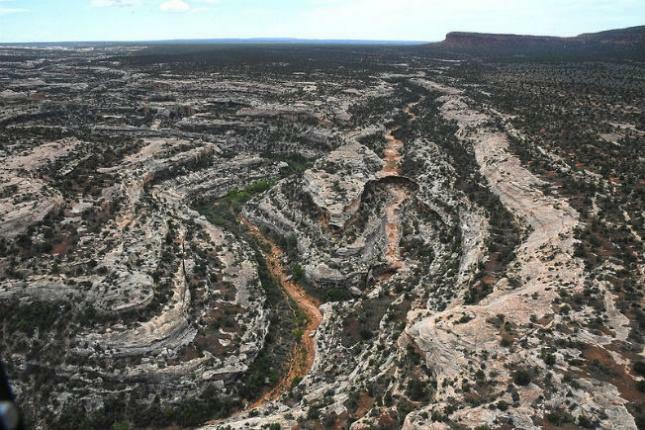 There's still no word on whether this panel and other important sites would be protected within a smaller Bears Ears National Monument. How much land will lose national monument status is still unknown, but some news outlets have been saying it could be a fraction of Bears Ears’ original size, which is 1.35-million acres. 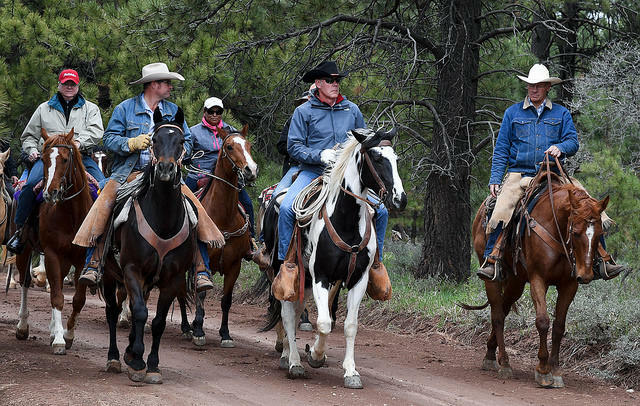 “It's really gratifying to have the president of the United States paying attention to our concerns out here,” says Phil Lyman, a San Juan County Commissioner. Gov. Gary Herbert (R) said in a statement that Trump is following the state’s recommendations on Bears Ears and the Grand Staircase. He also said local voices, Native Americans and Congress are important going forward. But environmental groups call Trump’s promised move illegal, and vow to fight it. 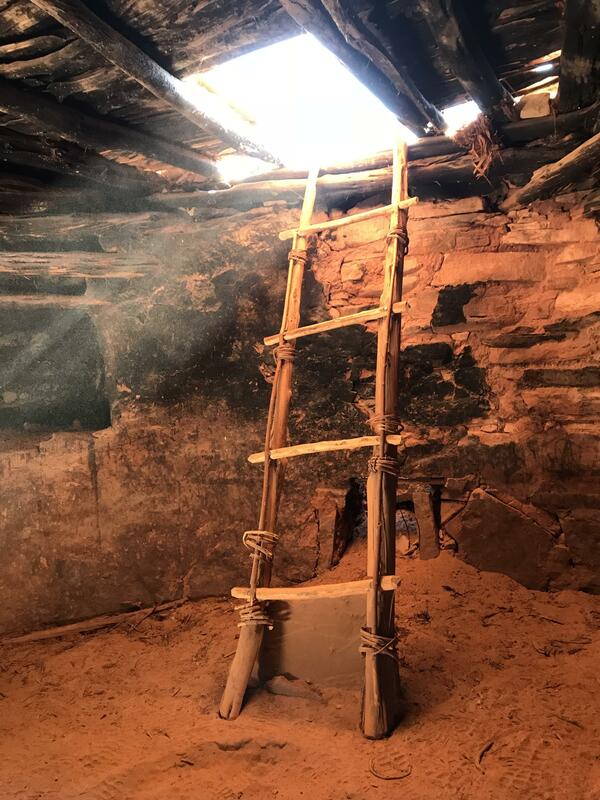 Kivas where ancient religious rituals were conducted are among the sites that the Bears Ears National Monument designation was intended to protect. But the Trump administration wants to trim the current boundaries. Trump is planning to visit Utah in December. He might wait until then to announce the details of his decision, or he could do it earlier, said White House spokeswoman, Sarah Huckabee Sanders.